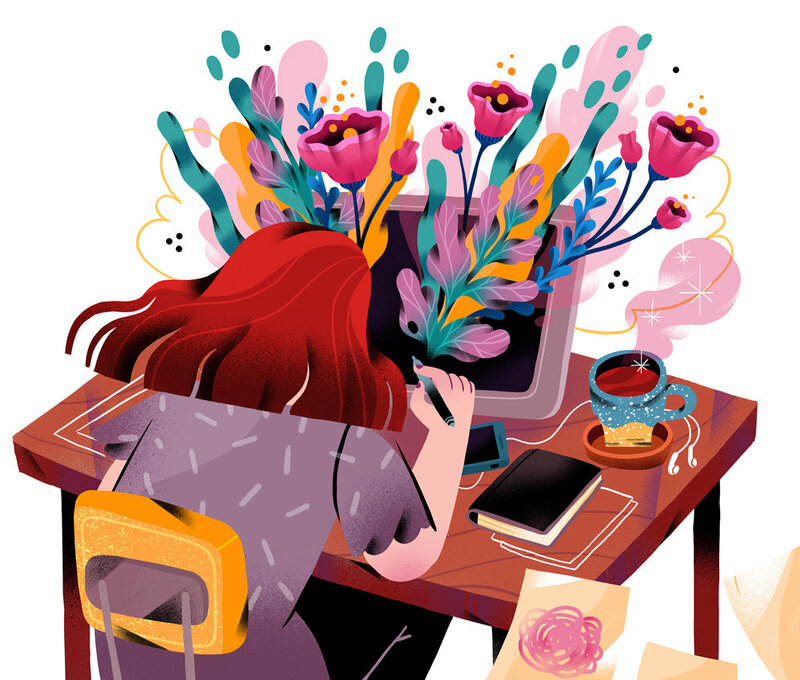 I’m Elena Resko, Berlin-based illustrator and coffee drinker. Having a graphic design background behind my back, I am now full-time committed to illustration. I work with editorial, product and advertisement and enjoy a variety of subjects. Always bright, colourful and occasionally blooming, my work brings positivity and hope even while exploring complex themes. Usually found at my desk drawing both for clients' projects and personal passions, but when you see my office chair empty, I am either exploring a new coffee shop in a search for the perfect cup and the best carrot cake or digging the shelves of bookshops to find a new treasure for my graphic novels collection. I always enjoy a good long walk and saying hi to all the dogs and rare cats I meet on my way.